Consumers are usually very skeptical of refurbished Vitamix blenders, especially since they are not “brand new” and why would they spend so much money on a product that has “been used before.” But Vitamix consumers should think reconsider! 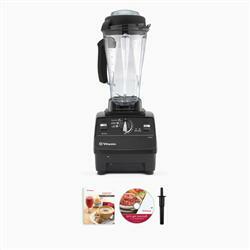 Refurbished Vitamix Blenders still have the same performance and durability standards as a new Vitamix Blender. The brand itself, Vitamix, has upheld its amazing reputation for over 80 years and many businesses, chefs, culinary institutes, and users of the Vitamix can stand behind this brand. The most important features of any blender is the motor! A Refurbished Vitamix’s motor is the same exact motor that the popular Vitamix 5200 uses. Thus, consumers do not have to worry about their Refurbished Vitamix blender not being to blend as well as an original Vitamix can. Furthermore, a Refurbished Vitamix comes with a pitcher that is used in an original Vitamix and can be cleaned just like a normal Vitamix blender. 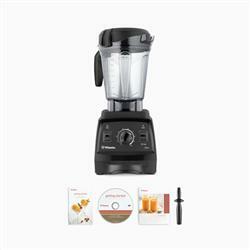 Lastly, the Refurbished Vitamix Blender comes with a five year warranty! To sum things up, Vitamix Refurbished Blenders gives the same great performance results as the Vitamix 5200 at a much lesser price, making it a cost effective deal for the customers! Certified Reconditioned Standard – $329.00. Certified Reconditioned Standard Programs – $379.00. Certified Reconditioned Next Generation- $399.00.